Cricut is having an amazing Black Friday deal for the Cricut Explore and I thought that was the perfect time to tell y’all my 10 reasons why you really need to get one! 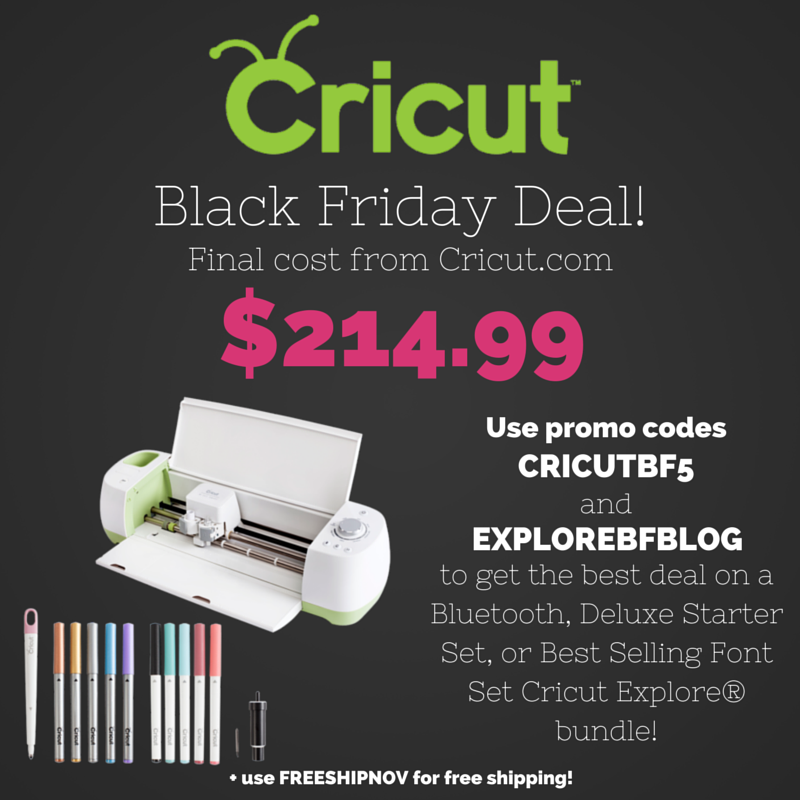 Don’t worry…you are about to get the BEST price on a Cricut Explore right here….no lines….no Black Friday crazies….just a click! Are you ready? You can continue on and read my amazing reasons for making this purchase. But if you are sure you want to buy RIGHT THIS SECOND let me tell you about the deal. Please note that the links below are affiliate links and I do get a portion of each sale. Are you ready to get up to a $365 value for $214.99?!?! Only here y’all! Click on the bundle below that you want, use the coupon codes below, and get a special present under your tree this Christmas! Now for the deal time! Add one (or more!) of those to your cart, stack the coupon codes below, and get the best deal possible!! I told y’all this was the best deal out there! This ends Monday y’all so hurry and get your orders in! Now for those reasons why you NEED to get this under your tree! I am going to do my 10 reasons countdown style. So we are starting with reason number 10….the in machine storage! The Cricut Explore comes with in machine storage for your extra blades, pens, etc. No need to worry about where you are going to put those things or extra purchases. Don’t even get me started on the fact that it also comes with a carrying case! No extra purchase there either. You can check out the image below as that flap opens up for tons of extra storage and there is also that green cup on the left where you can add even more pens and accessories. My number 9 reason…you can now use the Cricut Explore with your iPad. Now this is number 9 on my list because I don’t actually have an iPad! If this is number 1 on your list, be sure to pick up that Cricut Explore bundle with the bluetooth adaptor above so you can get started right away! Click here to see more about the release of the app in January 2015. Number 6 is really exciting y’all! You can use the fonts already on your computer or those you can download for free with your Cricut Explore. This is what makes things like my Cross Stitch Sign so easy to make with an Explore. 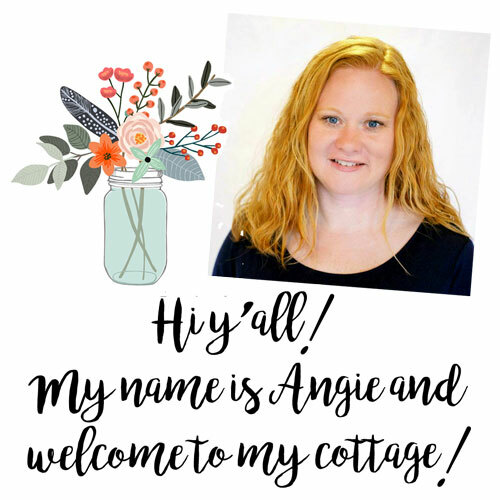 Click here to read more and see screen shots of when I used my Cricut to cut a downloaded font. My number 5 reason? Combining images has never been easier. Grab a bunch of images from the design space store and attach them all. You know have a combined image that can be used to make a variety of things. You can also attach a font on top of an image if you would like. You can see more about how to do this on my post about making a glittered Christmas wreath. Yes you can cut with your Cricut Explore but you can also write and score. That brings us to reason number 4. Grab the pens and scoring tools to make your project extra special. The best part? It does this all at ONE TIME!! Tell the machine which lines to cut, write, and score. There are two holders so you can load up multiple tools. If you are doing all three, the machine will even stop and let you know when to change tools. You are left with a finished project after just one time through the machine. You can see this in action by checking out my post on how to make paper feathers. The best news? That deluxe starter set bundle I mentioned above comes with the pens and scoring tools so you can get started with fabulous projects like this right away. Pens are great but printing would be better right? I have not tried this feature yet but I am so excited that this became my reason number 3! You can see more of the print and cut in action by clicking here. Now you see why I am so excited about this feature. Just waiting on the right project to give it a go in my home. We are down to the last two reasons y’all! These are close but I am going to call number 2 the ability to import your own images. You can draw something, scan it to your computer, and upload it. You can surf the net and find a free image you love. Anything is possible! Just get them into your Cricut and start cutting! Click here to see how to upload your own images. Drum roll please……my number one reason for loving the Cricut Explore….customizing material settings has NEVER been easier!! The custom set dial has some typically used settings on it already but then…then y’all….you can open up a whole list of custom materials and even adjust from there…..WITHOUT PULLING YOUR BLADE OUT!!! The Cricut does all the blade adjustments for you! Yea. I am a bit in love with this feature! You can see a bit more about cutting crazy materials and adjusting manually by clicking here. 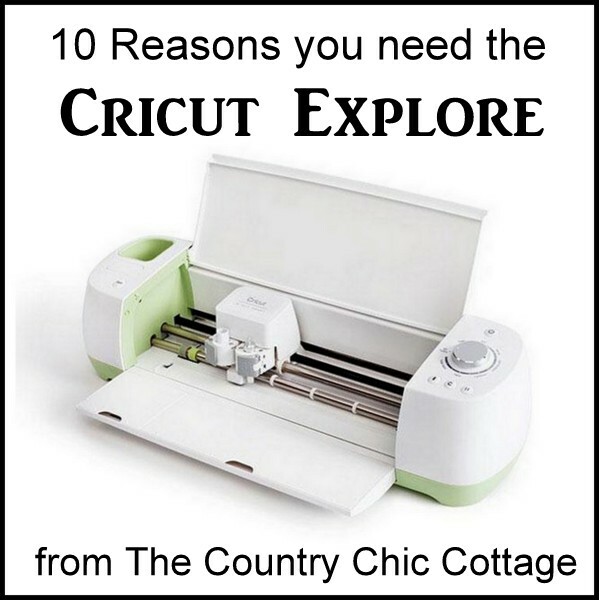 Now with all of those reasons….do you still not know if you want a Cricut Explore? Click here to see a Silhouette versus Cricut Explore comparison then come back here ready to buy! FYI: Percept Labs took 3 Explores and 3 Cameos, and used the machines, blades, and accessories available for each and cut 8 common crafting materials. Did that do a better job convincing you? Remember the deal that starts NOW….$214.99 for one of these…..
Add one (or more!) of those to your cart, stack the coupon codes below, and get the best deal possible!! I told y’all this was the best deal out there! This ends Monday y’all so hurry and get your orders in! No waiting in long lines or fighting crowds on this one. Just click buy now!